On May 15 and 16, Graham third grade students accompanied by their teachers - all dressed in period clothing - toured the Champaign County Historical Society Museum, 809 E. Lawn Ave., Urbana. The occasion was “1800’s Day” during which students learned what life was like for those who lived in Champaign County over 100 years ago. The Historical Society is an all-volunteer, not-for-profit organization that preserves, protects, archives and displays the artifacts that tell the Champaign County story. The society depends on donations and dues to provide a free public museum. 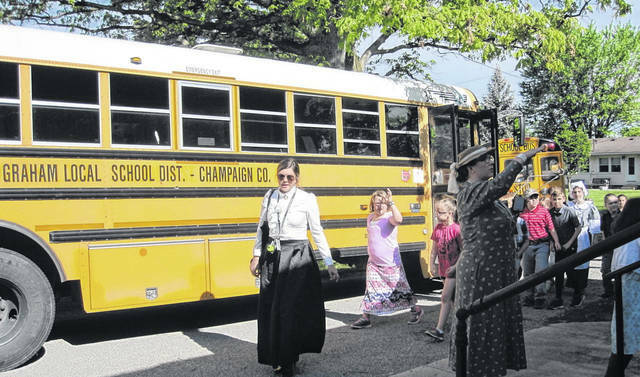 On May 15 and 16, Graham third grade students accompanied by their teachers – all dressed in period clothing – toured the Champaign County Historical Society Museum, 809 E. Lawn Ave., Urbana. The occasion was “1800’s Day” during which students learned what life was like for those who lived in Champaign County over 100 years ago. The Historical Society is an all-volunteer, not-for-profit organization that preserves, protects, archives and displays the artifacts that tell the Champaign County story. The society depends on donations and dues to provide a free public museum. 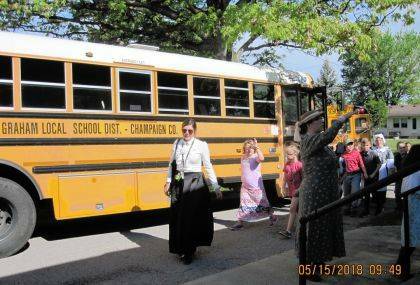 https://www.urbanacitizen.com/wp-content/uploads/sites/36/2018/05/web1_GrahamWeb.jpgOn May 15 and 16, Graham third grade students accompanied by their teachers – all dressed in period clothing – toured the Champaign County Historical Society Museum, 809 E. Lawn Ave., Urbana. The occasion was “1800’s Day” during which students learned what life was like for those who lived in Champaign County over 100 years ago. The Historical Society is an all-volunteer, not-for-profit organization that preserves, protects, archives and displays the artifacts that tell the Champaign County story. The society depends on donations and dues to provide a free public museum. Photo courtesy of the Champaign County Historical Society. https://www.urbanacitizen.com/wp-content/uploads/sites/36/2018/05/web1_GrahamPrint1.jpg Photo courtesy of the Champaign County Historical Society.